It's been a warmer and dryer than average month across the UK including parts of the north west, say weather experts. Early statistics released by the Met Office show that although there have been a few chilly days and frosty nights in places during the month of May, mean temperatures for the UK across spring as a whole have been above normal by 1.4°C. Average temperatures in the north west have been around 1°C above average for the month at around 18°C in May. 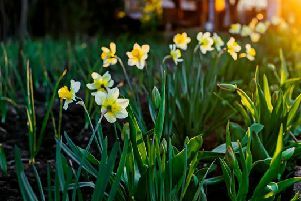 England is now on course to have the second warmest spring on record (behind 2011) with Northern Ireland likely to have its warmest spring on record. In terms of rainfall, amounts have generally been below normal this spring with the UK having received 80% of the long term average (189 mm compared to the long-term average of 237.9 mm up until 29 May). In the north west rainfall averages have been in the region of 90% of the long-term average.